The Monitor's 2018 All-Area Pitcher of the Year Abanny Garcia, McAllen High, poses at Vela High School on Wednesday, June 6, 2018, in Edinburg. EDINBURG — McAllen High senior Abanny Garcia is the embodiment of the American dream. He moved to McAllen from Tamaulipas, Mexico, when he was 7. His mother Irma Garcia had been working in McAllen prior to the move and was ready to welcome his son into their new home. Abanny didn’t have much of a relationship with his father, so when he moved it was he and his mom ready to face the challenges of a new environment together. Soon, Irma introduced Abanny to her boyfriend, Luis Prado. At first he was just a friend, as far as Abanny knew, but soon enough he became Abanny’s stepdad. The bond grew from the sport of baseball. Prado played when Abanny was growing up, and Abanny loved watching Prado play. He would make Irma stay at the games every Sunday, even when she was ready to go, because he wanted to see every play Prado made. At 7, Abanny began practicing baseball, but he didn’t play in his first game until he was 9, and by then he was already a standout. Prado worked long 12-hour days, and had very little time off. But, Prado would skip a lunch break, instead meeting Abanny at a park to play catch. That sacrifice registered on the youngster. Eventually Abanny got to McAllen Rowe for his freshman year and earned a spot on the varsity baseball roster. Before his junior year, Rowe was in flux and Abanny didn’t like the vibe he was getting from his new team after a lot of graduations, so he decided to transfer to McAllen High. It was an instant fit, and Abanny had found his home. 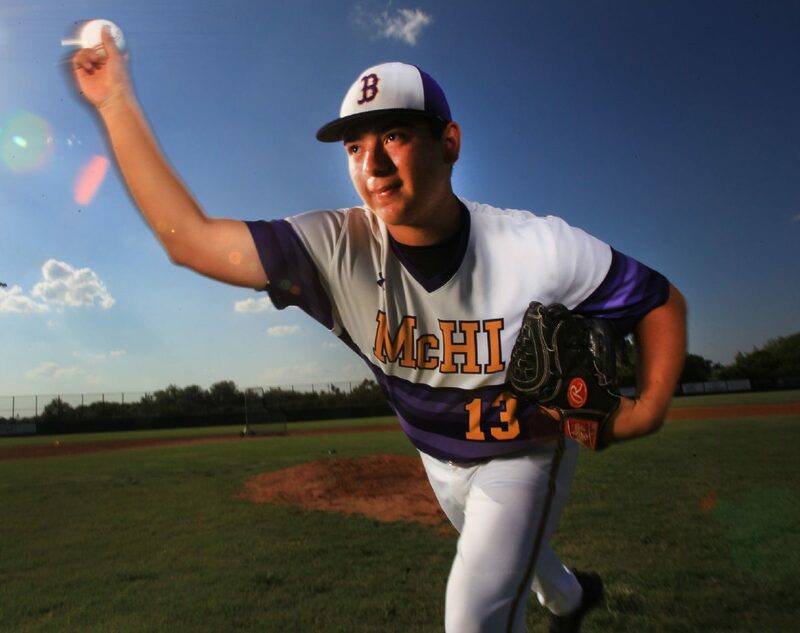 His career at McAllen High proved how special he is on the field. He was the undeniable ace on the most talent-laden roster in the Valley. This year, Abanny pitched 54.1 innings, striking out 77 and posting a 1.16 ERA. 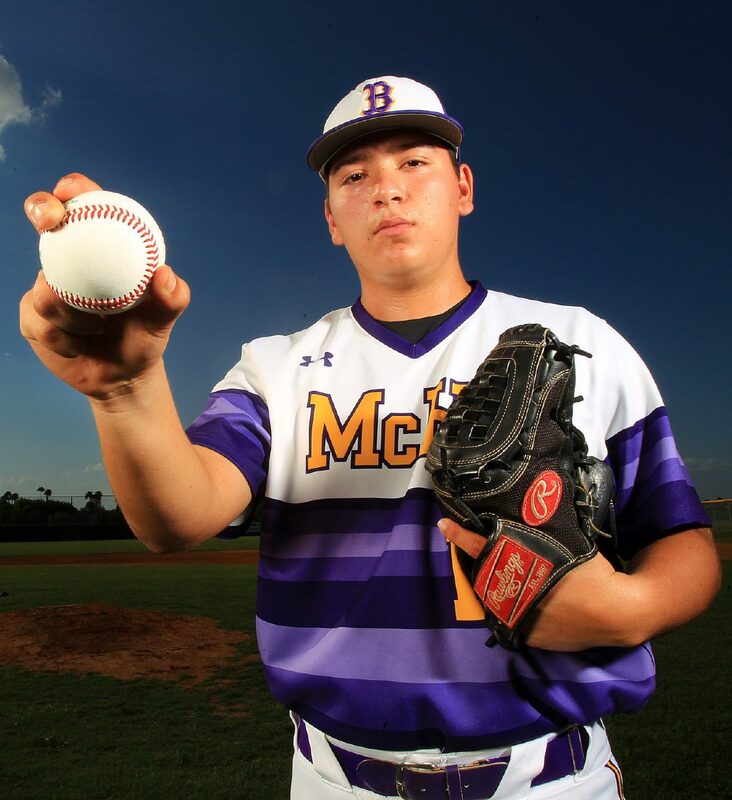 For his efforts on the mound, Abanny Garcia is The Monitor’s 2018 All-Area Baseball Pitcher of the Year. When he is not on the mound, he plays at first and he is always in the middle of the lineup. This season, he hit .412 with 29 RBIs and 37 runs. He hit 13 doubles and four bombs. Ever since Abanny was seven, he and Prado would have long talks about reaching Division I baseball and potentially even going pro. Baseball has been Abanny’s dream from the moment he got to McAllen. With Irma and Prado’s help, love and support, Abanny was able to turn those dreams into a reality. During the summer of his junior year, Abanny was offered a full scholarship from UTRGV. The moment they got the word, the family rejoiced in unison.